When October showed up last week, I was still in denial about fall. It had been sunny and warm here (mid-70’s) and though the weather man threatened rain all last week, none showed up. It was a wonderful Indian summer. Now, I love fall, but I was enjoying September so much, with its lack of tourists but plenty of sunshine, I wasn’t ready to for it to end. And I certainly wasn’t ready for fall, because I felt like something was missing. 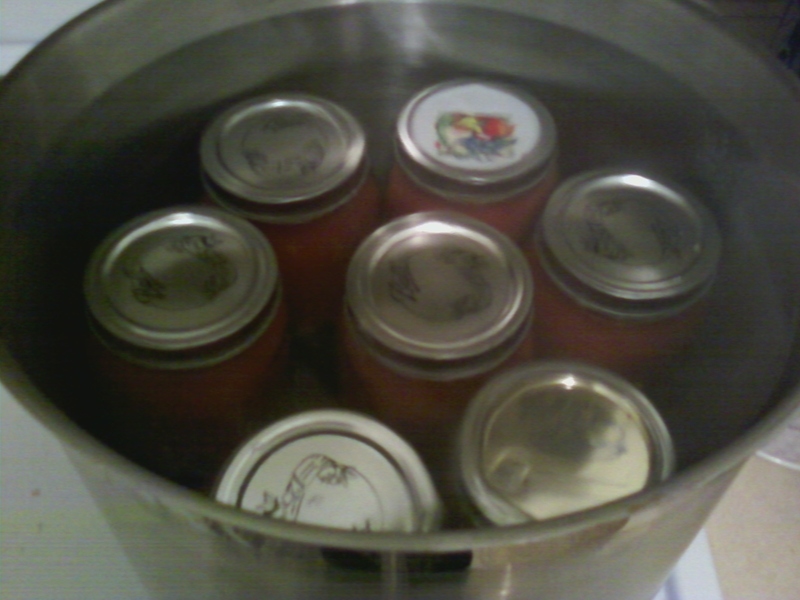 Canning. 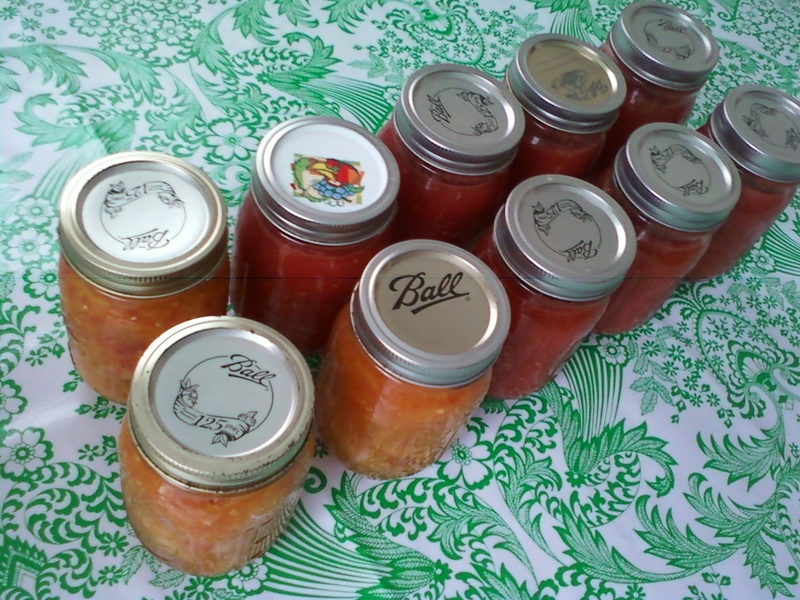 For the past three years, I’ve been canning every summer: tomatoes whole, puree & sauce, jalapenos, peaches, candied apples & apple sauce, cherries (pie filling, spiced, and pickled), dill and bread & butter pickles, and always a batch or two of jam or jelly. This summer, there wasn’t any surplus from our new CSA (we won’t be using them next year) and no wonderful pick-your-owns like in the Hudson Valley, so I didn’t get to put anything up. It’s just not summer until I preserve something, so I was dragging my feet on fall. But, in the last two days that was remedied. 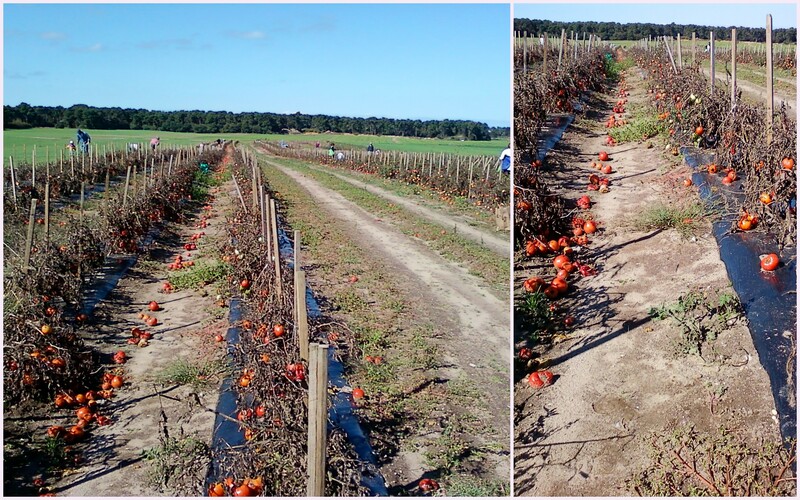 First, Nora and I discovered that Bartlett’s has one afternoon of pick-your-own tomatoes for a dollar per pound, to clear their fields before fall. You better believe we were waiting at the field gate Saturday afternoon when it opened at 1:00. Field-fresh heirloom tomatoes for $1…it doesn’t get any better than that. I had hoped to pick 20 lbs, but Nora was getting fussy so we left with just a little over 10. But 10 lbs will keep us away from aluminum for a couple months – we have 10 pints crushed (three yellow, seven red) and a gallon frozen. 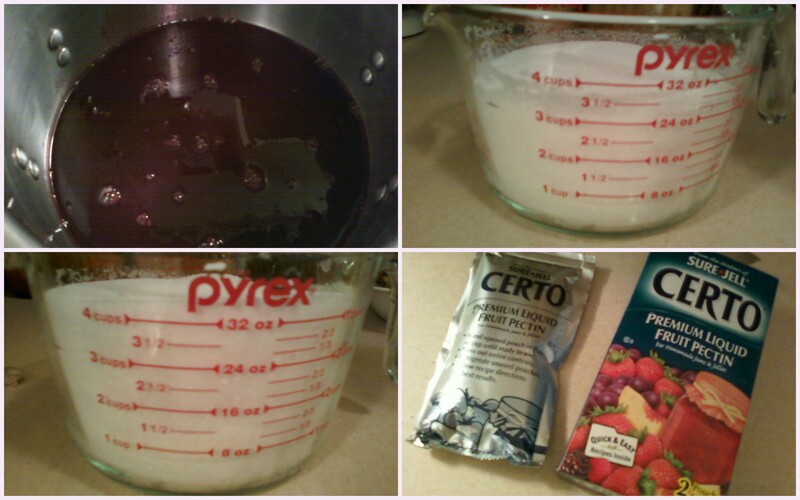 Then, last night after she went to bed, I finally found time to make jelly with the grape juice I’d been saving from when she and I picked all the Concords. Normally, I steer clear of grape jelly – it’s just so blah and reminds me of being a kid eating the most sugary sandwiches ever (empty HFCS white bread, peanut butter mixed with hydrogenated oil and more sugar, and of course jelly, which is more sugar than fruit – yes, this did take 7 cups of sugar). However, we only have one jar of peach jam left in the pantry and I wasn’t going to Stop & Shop to buy fruit for jam when I had these amazingly tart and flavorful Nantucket grapes, so I thought I might as well try it. 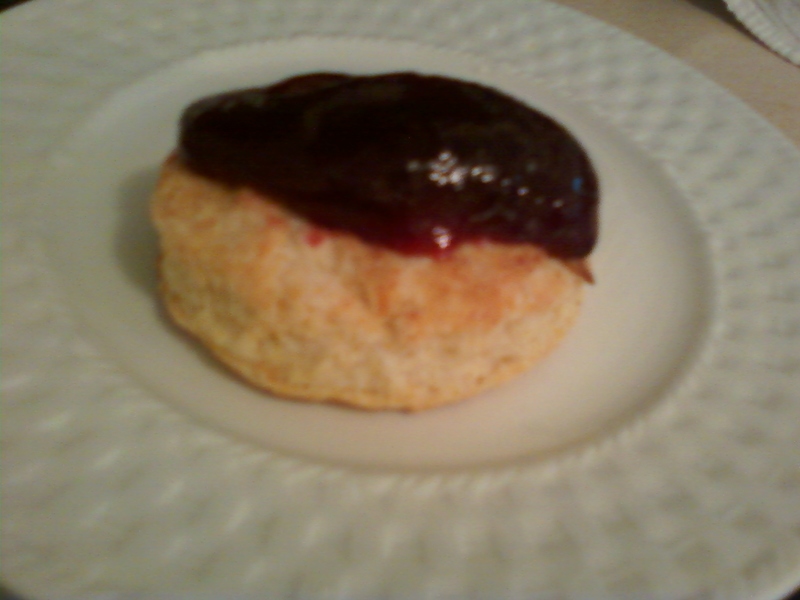 Um…I am now a grape jelly convert. It was good smeared on the biscuits I made for breakfast this morning…but it was actually good enough to eat by the spoonful. 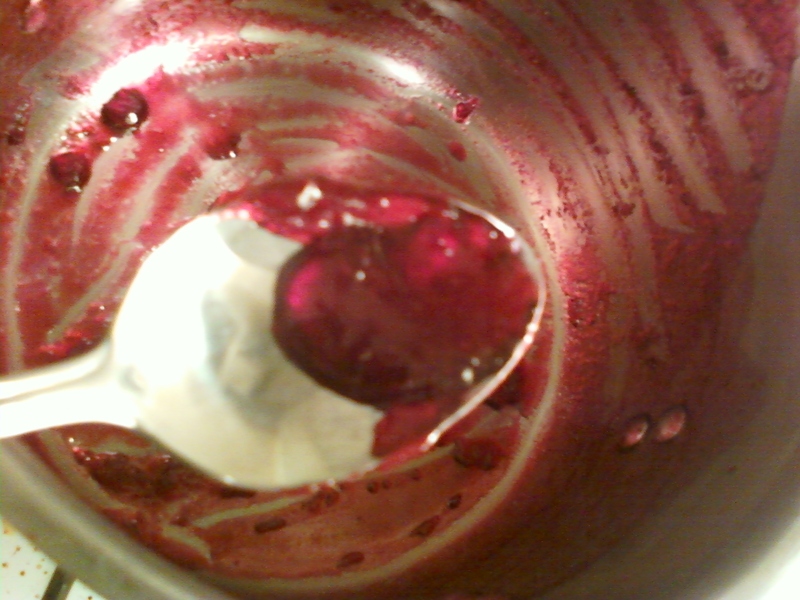 And I’m thinking about the Nantucket grape jelly gems that will be in our future. Don’t judge me. 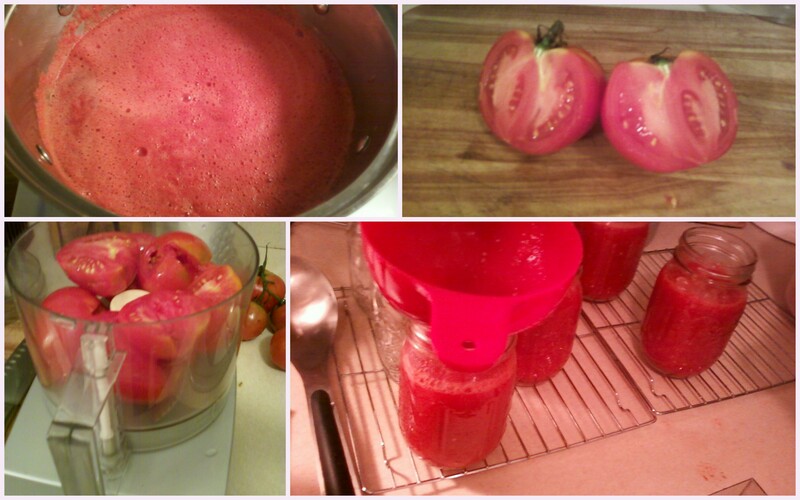 After picking tomatoes and canning and jelly making, I finally felt ready to welcome fall. Which was just as well, because last night, fall arrived. 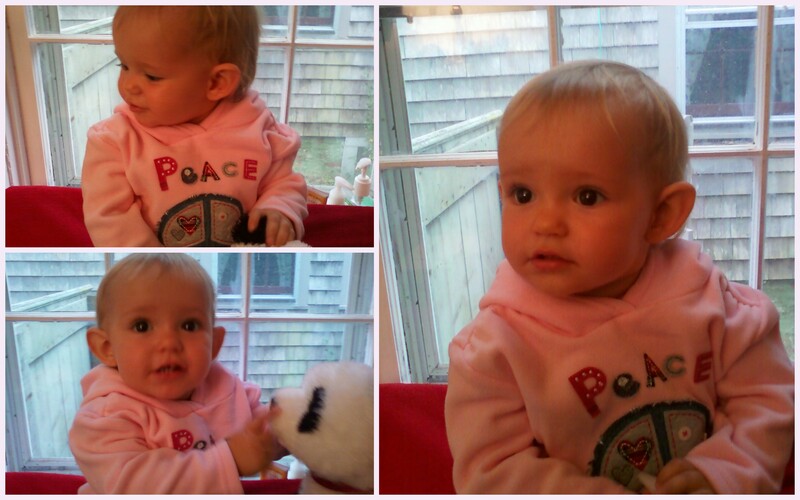 With wind and rain and weather cool enough to warrant a sweatshirt. 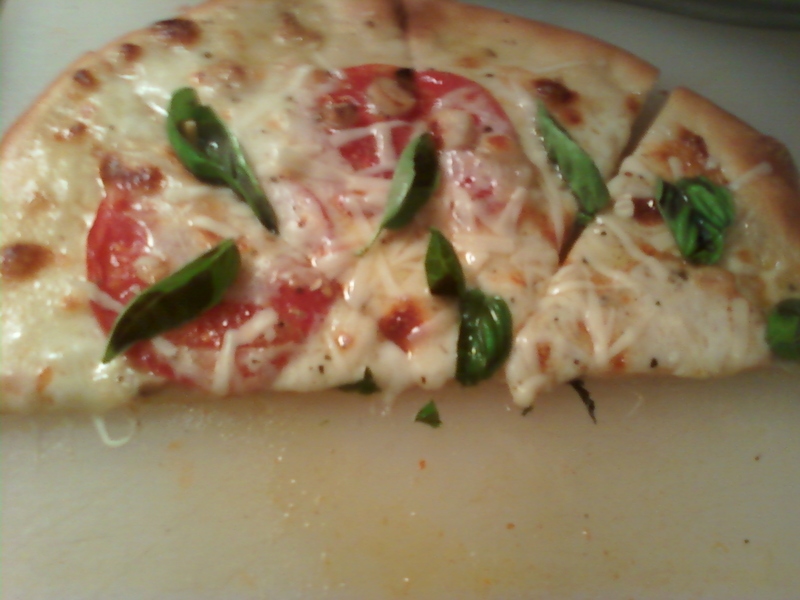 Pizza Margarita with Bartlett’s tomatoes. 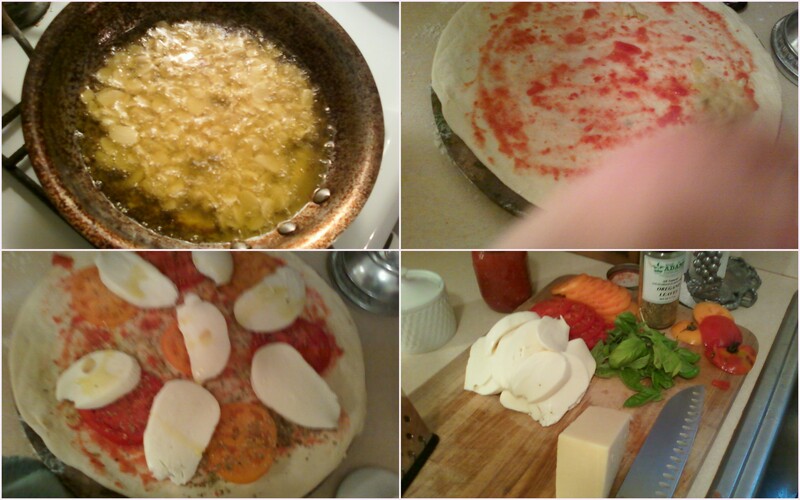 (I made the dough, Chris did everything else.) It was so good I forgot to take a picture before we dug in. After dinner, Chris took command of baby bathtime while I cleaned and then we just hung out in the (clean!) living room, playing together, as a family. Is this what it’s like to have a husband at home in the evenings? Because it’s fabulous, and it’s another wonderful thing about fall — Chris is going to be home Wednesdays in time for dinner, too. 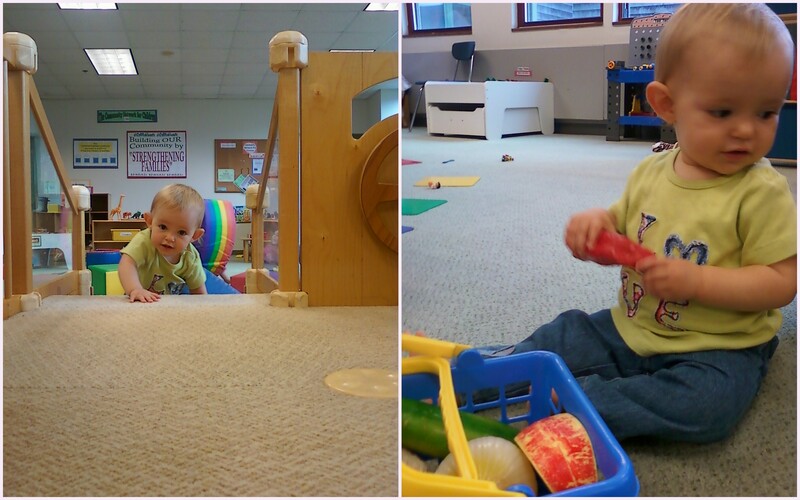 And then this day got even better: Nora took her first steps. Do we have the most perfect baby or what? If she was waiting for the best moment, when both of her parents were present, she couldn’t have picked a better one. Yes, I may have been dragging my feet on fall, but not any more. Previous article What Do You Do All Day? Now I bet it only took five minutes to pick ten lbs. Fussy baby? I’ll have nightmares dreaming of all those toms. wasting on the ground. The pic doesn’t show many people taking advantage. Haha. It took a little longer than that. Quite a few of them were rotten on the vines, sadly. Also, she was in the Becco, so it makes it hard when she doesn’t want to be there.